As you know, Thursday hockey is an exercise in frustration. It's not that the hockey annoys me in any way. Rather, it is the lack of late night eating companions afterwards. For some reason or another, they feel the need to go home and sleep. Pffttt... What is wrong with these people??? Aren't they hungry? Well, desperate times call for desperate measures. Thus, I offered Gordo a ride to hockey with the expectation I foodnap him for eats later. To execute my sinister plan to the max, I convinced Milhouse to play as well. Thus, I had not one; but two eating partners. Now, as much as there are late night eats in Richmond, the well g ets a bit dry when it comes to weekdays. Thus, we headed to Pearl Castle even though I've visited it previously. However, this time we were going to sample more than their drinks. Unbeknownst to us, they blocked off the Sexsmith entrance to the shopping complex and lets just say if I didn't stop to make sure, my car would have a new "chain" design on the front hood. C'mon folks, if you are going to put up a barrier, make sure it can be seen! The same almost happened to Milhouse! Fortunately the Lambo in front of me didn't hit the chains, would've been an expensive repair. And on a side note, what the hell is a 20 year-old doing with a Lambo anyways??? 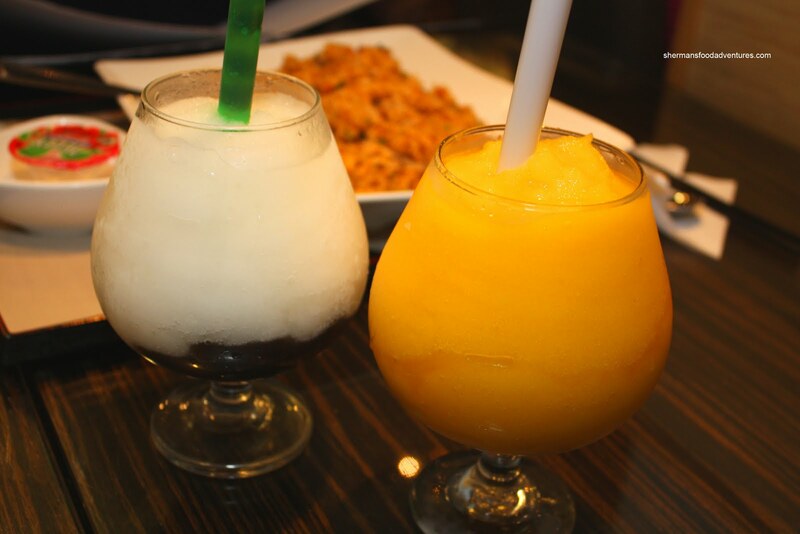 Now Pearl Castle is known for their drinks. I've had them before and they are indeed quite good. With that in mind, I went for the Passionfruit Slush with coconut jelly. Gordo had the Strawberry with pearls and Milhouse begrudgingly ordered the Chocolate. You see, the dish he ordered was so spicy, he needed a drink to counteract it. He wasn't that happy about spending $8.00 for a drink, no matter how good it is. 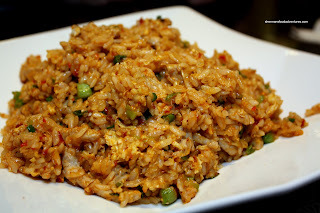 As mentioned, Milhouse had something spicy, in the Spicy Kimchi Fried Rice. Boy, did they mean it. It wasn't hot at first; yet as I chewed, it got spicier and spicier. The rice did taste as advertise; but we found it to be quite wet. Not a desirable quality in a fried rice. For me, I started with the Fried Chicken Knees. Yes, I like the cartilage portion of the chicken leg. What can I say? Can't accuse me of not trying to get my calcium. Sure, I could just drink milk. However, what fun is that? Despite the large amount of batter used in this dish, it was quite light and flavourful. It was very crispy with a balanced amount of saltiness and pepper. My main dish ended up to be the Seafood Hot Pot, which came with a bowl of rice, sa cha jeun (satay sauce) and a lychee jelly cup (???). 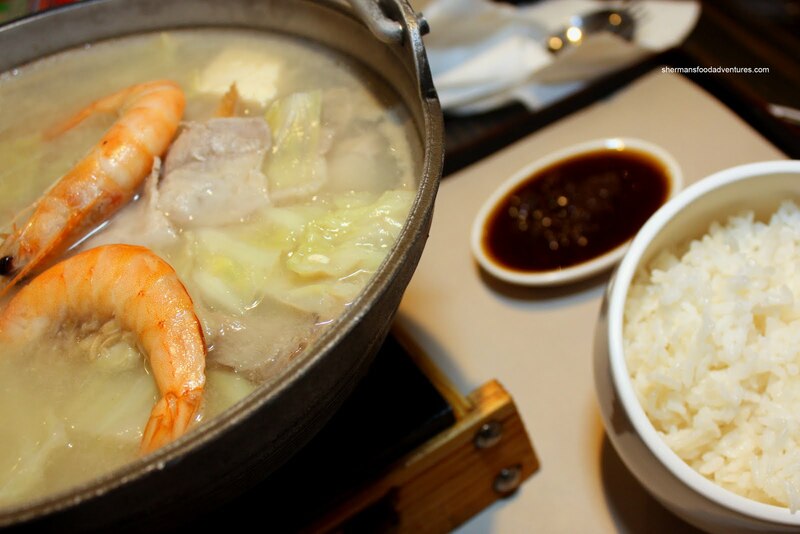 I assumed from the start that there would be not a lot of seafood in the hot pot. I assumed right. There were 2 shrimp, 1 oyster chopped up, some squid and plenty of sliced fatty pork, tofu and cabbage. Despite this, it was pleasant enough to eat, if not a bit boring. I did actually like the broth, it was quite flavourful in a "light" kind of way. 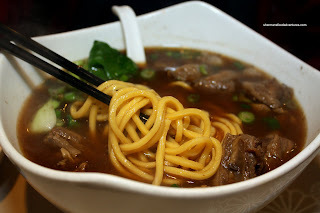 For Gordo, it was all about what Taiwanese joints are known for - the House Special Beef Noodle or TBN. He thought it was pretty good with al dente noodles and a nice tasting broth. Could've used more depth; but fine nonetheless. Beef was quite tender too. Only problem? He didn't think there was enough of it. Maybe he was just hungry? Anyways, my thoughts about Pearl Castle is plain and simple. I would not go here normally to eat; but for late night, it does the job. However, I would come here for the drinks though. They are indeed good. 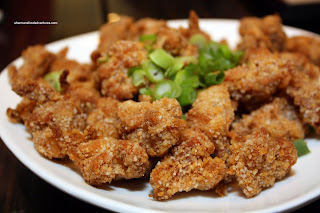 I use to frequent Pearl Castle a lot in the past but I've stopped going ever since they've changed their battering for the fried items like the Taiwanese Crispy Chicken. The one they use now just seems to lack the great flavor the old one had. Hmmm... That's too bad. It was still decent for me. But then again, I've had better.